The lowdown With the weather cooling, it's all about getting my sensitive skin prepped for winter. 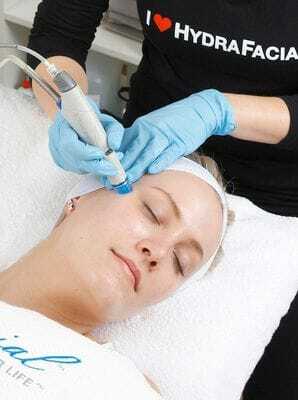 This non-invasive exfoliating treatment uses a machine that targets all the trouble spots by cleansing, extracting and hydrating simultaneously, using a multifaceted spiral abrasion tip combined with preloaded serums that soften, lift and extract sebum and impurities. This juggernaut targets fine lines, sun damage, blackheads, enlarged pores, excess oil, hydration and puffiness. At the clinic they work over my thirsty skin meticulously with the clever tip, which has a sucking motion that vacuums out impurities while depositing the nourishing serums. Pain factor Once again, no pain. I need to get out more. Results It is exceptionally satisfying to see the soupy contents of the waste container. (Is that too much information?) My skin lapped up the serums and I now feel really hydrated and super clean. Even my pores are smaller. About: Dr Natasha Cook is a fully qualified dermatologist and member of the Australian College of Dermatology as well as a fully certified member of the American Academy of Dermatology, International academy of cosmetic dermatology. Dr Cook has extensive experience in aesthetic medicine and dermatology.